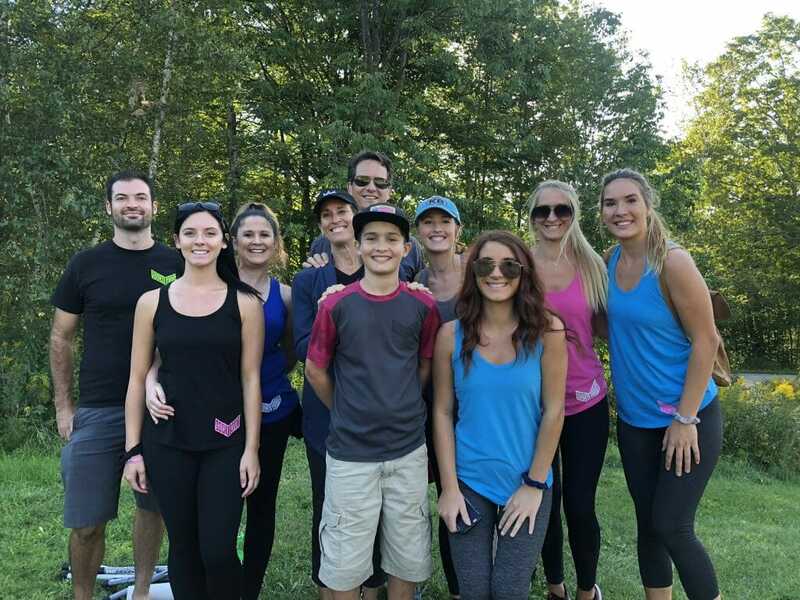 From left: Cameron Martin (best friend), Sadie Harkins (girlfriend), Ari Hyer (friend), Sandy Wysocki (mother), Rick Wysocki (father), Zach Wysocki (13 year old brother), Yvonne Wysocki (15 year old sister), Sarah Wysocki (21 year old sister), Tricia Wysocki (20 year old sister), and Wendy Wysocki (17 year old sister). It doesn’t matter whether Ricky Wysocki is on the lead card, the chase, or somewhere deep in the pack. When he makes a good shot or cans a birdie putt, you’ll hear a roar. That’s the “Sockisquad,” a collection of family, friends, and a girlfriend that’s 10 strong. 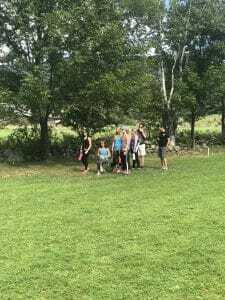 They’ve been following Ricky since the 2011 US Disc Golf Championships, which is 15 minutes from the Wysocki family home in Fort Mill, South Carolina. They haven’t missed a USDGC, and they went to the 2012 Pro Worlds when it was in Charlotte. “[We want] to support him and show him that we’re there for him,” said Ricky’s father, Rick. The Sockisquad on the course. This trip, though, was quite the trek. They drove 15 hours to get up to Smuggler’s Notch this week. Why? He’s going for his third straight. “I’ve never seen him win one,” said his sister, Sarah. There’s no question that they are the biggest entourage on tour. And you can’t miss them: in a gallery that — like the sport — is predominantly male, a group of seven women stands out. They all ride the rollercoaster right along with Ricky — you can hear their pain when he kicks off a tree, just as you can hear their cheers when he nails his line. Even though Ricky is now nine shots off the lead and in 12th place, the Sockisquad will still be out on the course, hoping he can make a huge run on Championship Sunday. Comments on "‘Sockisquad’ Brings Energy To Wysocki’s Gallery"